Troop meetings are where the magic happens. You’re exploring the solar system with your Daisies and Brownies, digging into forensic science with your Cadettes, or planning a week-long backpacking adventure with your Seniors. Look at you building girls of courage, confidence, and character! But…then there’s also the decidedly less magical aspects of meetings, like the floor sweeping, snack distributing, attendance keeping, and dues collecting. It’s a lot to juggle. So, how do you get girls to pitch in? Enter the Great Kaper Chart. A “kaper” is a job or chore that must be done. 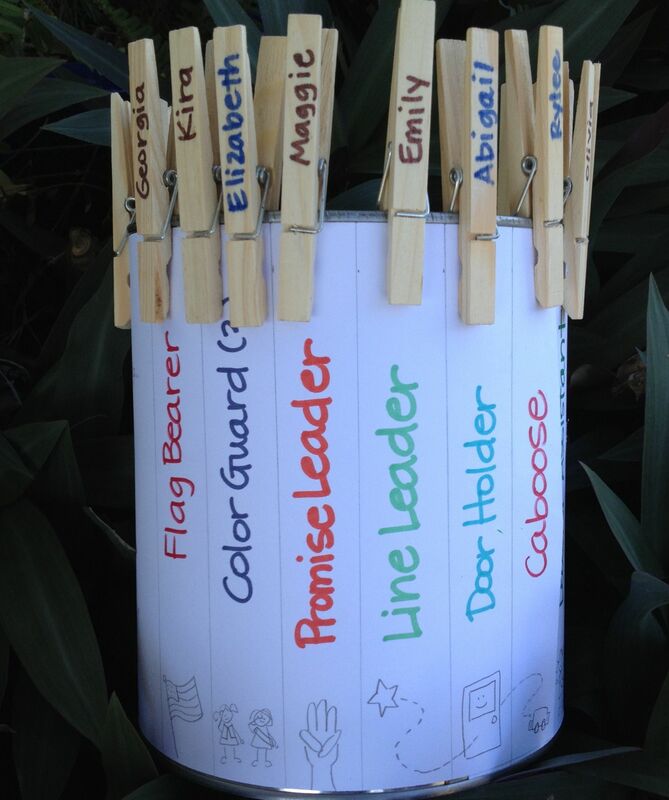 A “kaper chart” is a Girl Scout tradition of divvying up these troop responsibilities. The chart lists all the jobs that are available and who’s in charge of each one. Girls usually rotate jobs—this ensures that girls learn how to handle all sorts of different responsibilities and makes sure that the same girl isn’t saddled with the same duty for every meeting, event, or trip. Kaper charts look different for each troop and can change as girls move into different program grade levels. As girls progress, they can take on more responsibilities. You can have a specific chart for meetings, and another for field trips or camping. What’s the general structure of your troop meetings? Do you take attendance, recite the Girl Scout Promise and Law, play a game, work on a badge, clean up, and then close with a Friendship Circle? What could your girls be responsible for? For example, given your meeting structure, girls could have kapers such as attendance taker, Promise and Law leader, game and song leader, activity assistant, clean-up crew, and Friendship Circle captain. Would your girls be able to accomplish the kapers solo or are some jobs better suited for small groups? If you’re going to break girls off into groups, how many girls will go into each group? How will you rotate through the kapers? Once you’ve figured out how you’ll use the kaper chart, you and your girls can decide what you want your chart to look like—a spinning wheel model, a chart with girls’ names on clothespins, or a dry-erase board? Pinterest is a great place to search for ideas (they can range from simple, just for camp, to all-out unicorns). Be sure to include your girls in the design process too—after all, they’ll be the ones using the chart the most! And though they’re called kaper charts, your kaper chart doesn’t need to be a…chart. (I’ll stop saying chart now.) Some troops stick with “To do” and “Done” cans—the kapers are written down on popsicle sticks that girls pick and then place in the “Done” can when the job is completed. Whatever style kaper chart your troop comes up with, girls of every program grade level (even the youngest Daisies) can and should help with the details of running a meeting. Girls might not carry out the kapers perfectly—the floor’s “clean-ish” or someone accidentally dumps a box of crackers on the table while passing out snacks—but messing up and trying again is part of the learning-by-doing process. (Also, it’s okay to make mistakes!) Remember that the most important benefit of the kaper chart is girls’ sense of ownership of their meetings. Who could say no to that?